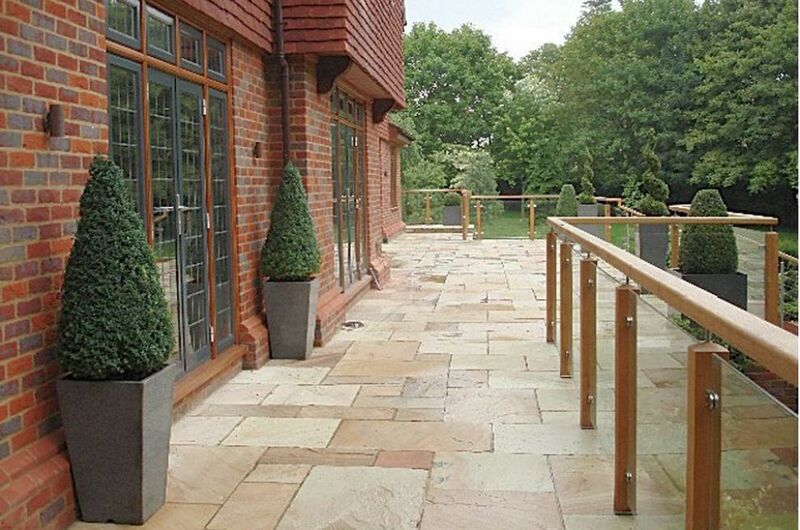 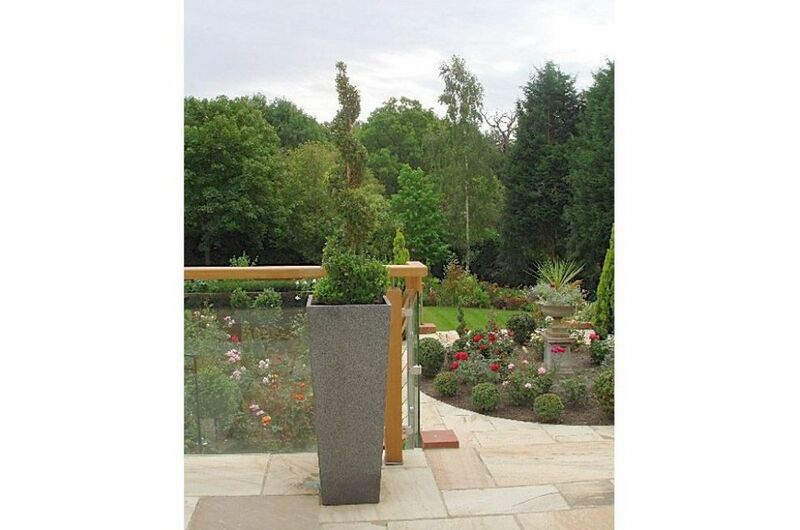 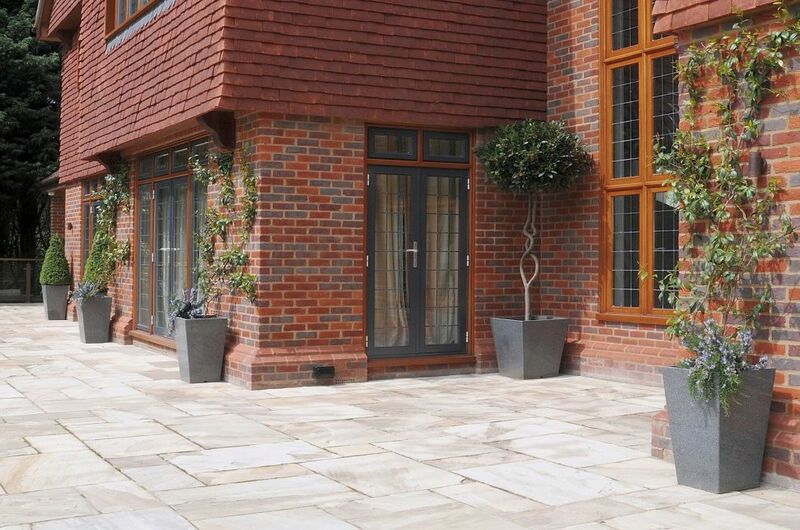 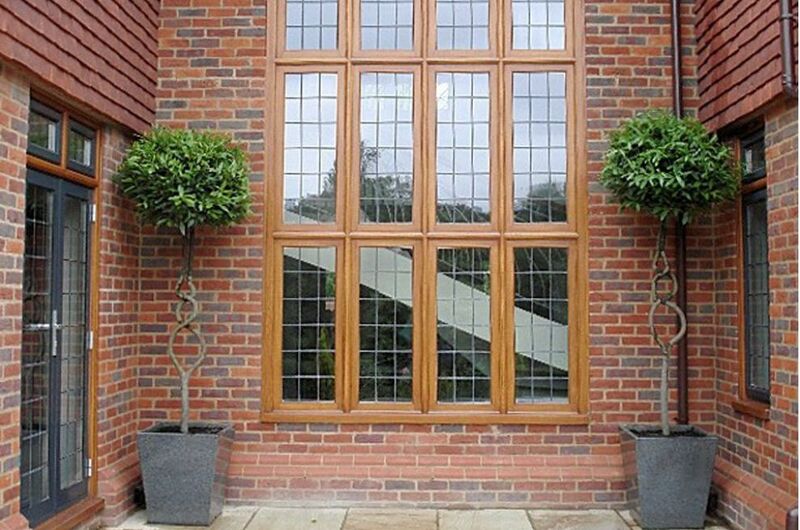 IOTA’s Granite stone planters were selected for this imposing weekend residence in Buckinghamshire. 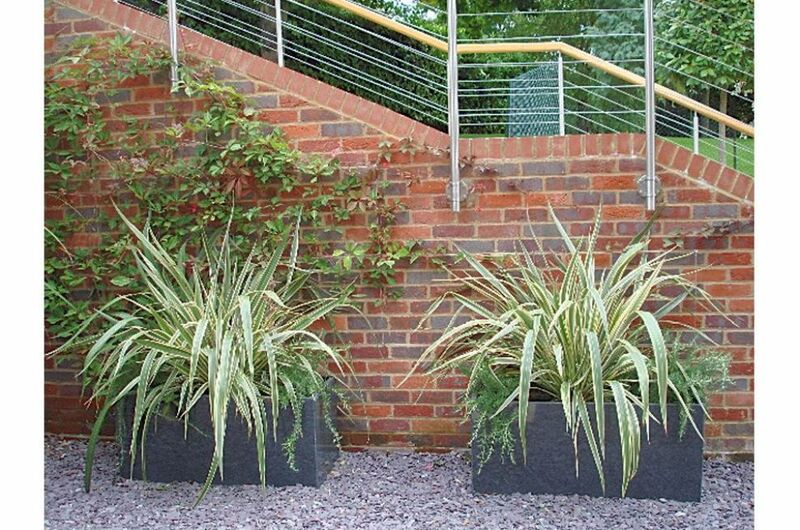 In keeping with the scale of the residence, extra-large planter designs were chosen including the Taper 600, Taper 1100, Tall Taper XXL, Cube 600 and Trough 1000. 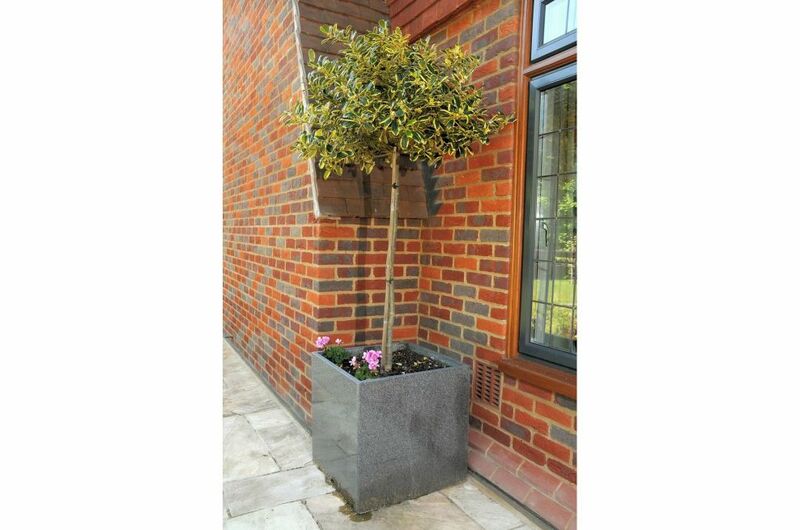 IOTA’s planters are used extensively throughout the scheme with a mix of cube, tapered and trough planters, in total 53 pieces. 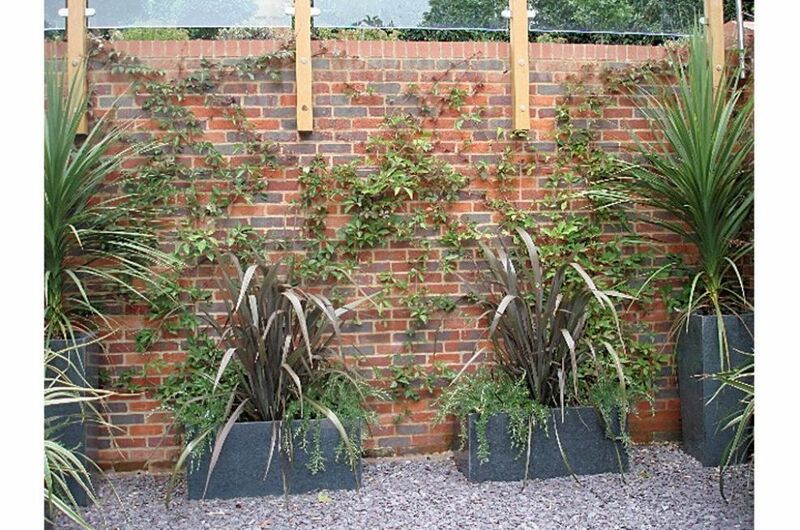 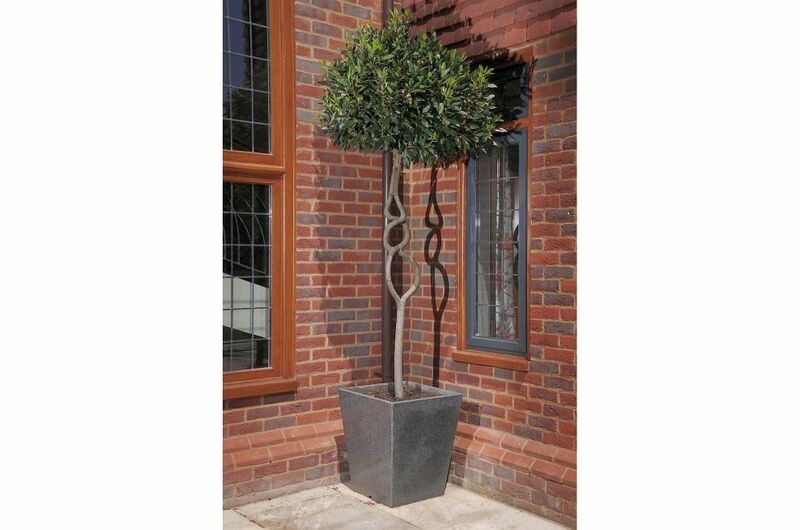 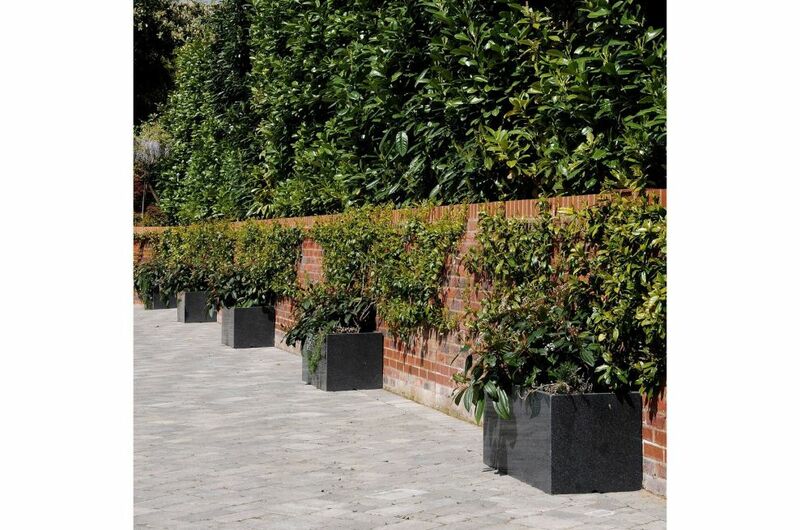 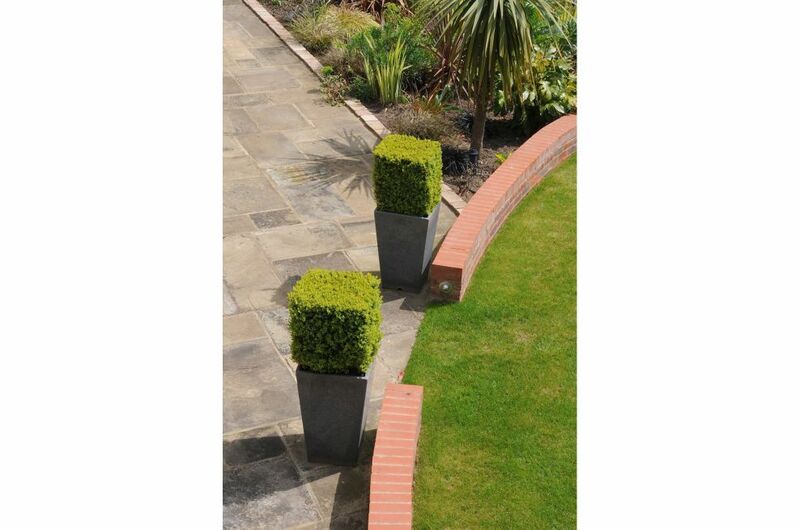 The planters serve to ‘green’ hard landscaped areas; to lead the eye to design focal points; and to signpost transitions between different areas of the garden. 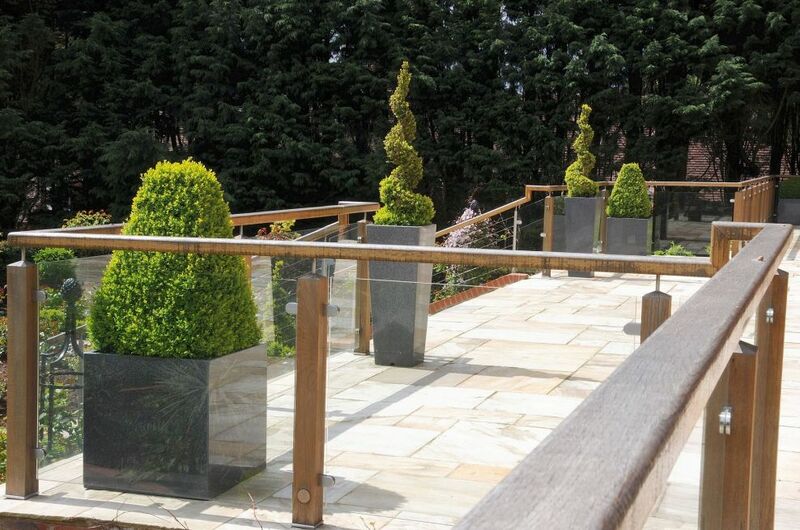 The planting maintains a unified architectural theme, whilst also introducing interest and variety – such as through the selection of different topiary styles. 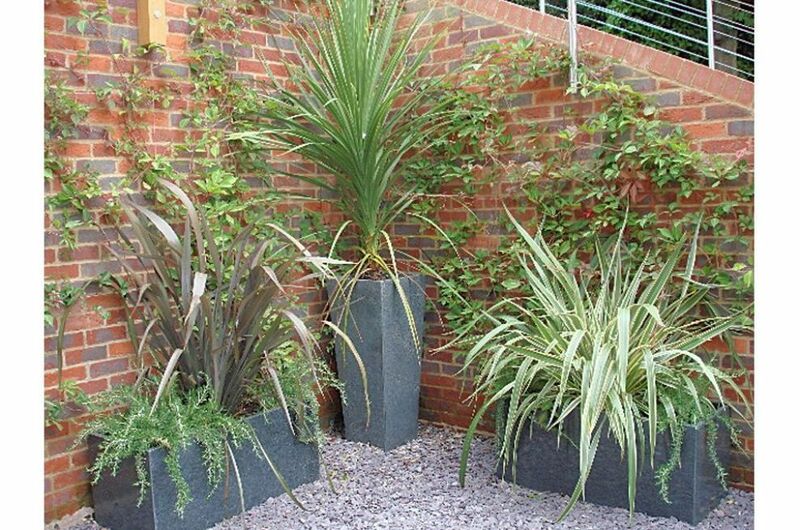 IOTA’s large garden planters were specified for this scheme by Fyne Design Gardens & Landscapes Ltd. Fyne Design provides a range of garden design and landscape design services, to both residential and commercial clients, in Bucks, Berks, Surrey and throughout the Thames Valley.